I’m not sure how much heavy cast iron affects Santa Claus’ gas mileage on his sleigh, but Kathy and I were very excited to receive a number of new cast iron cookware items for Christmas. 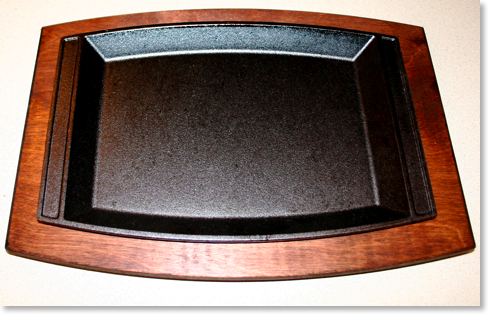 First up is a Lodge Sizzlin’ Chef Platter. My mother-in-law gave me this. I often complain that food gets cold on my plate too quickly. This will be the remedy. Kathy bought me this Lodge Square Grill Pan . You may have seen this in the pictures of the cast iron on our baker’s rack in an earlier post. Kathy bought it early, but wouldn’t let me use it until Christmas! It will be perfect for steaks this winter when I don’t want to cook outside in the cold on our Sportsman's Grill . I’ve been wondering for a long time how some of our classic casseroles would cook in cast iron. I’ve experimented with good results using both our skillets and our dutch ovens, but I wanted something more to the size of a traditional casserole pan. 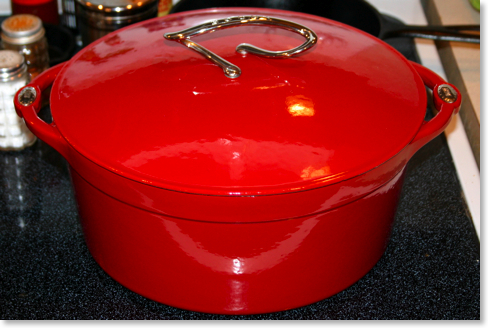 Mom gave us this Lodge Color Enamel 4 1/4 Quart Roaster and I can’t wait to use it. 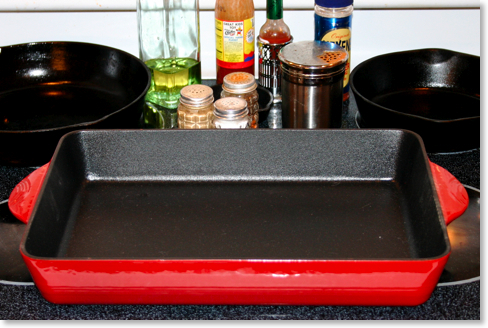 However, at thirteen pounds and even heavier when full, using this pan will be a real workout! 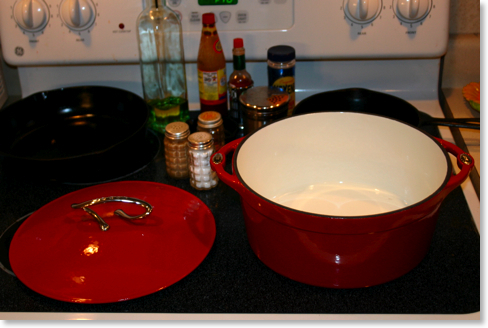 The two pictures above show off our new Lodge Enamel 5 qt. Dutch Oven . This will be our first enameled cast iron piece and perfect for foods that traditionally are hard on a cast iron pan’s seasoning, such as chili. We’re very excited to add to our cast iron cookware. I’m sure you will see these items in pictures of upcoming recipes that we post online. What about you? 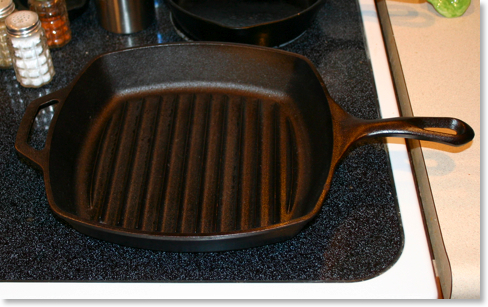 Did you receive any cast iron recently or for Christmas? Let us know in the comments.